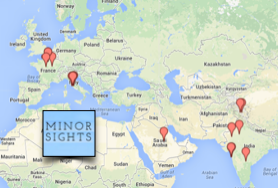 Minor Sights' personal list of favourite Louvre attractions. 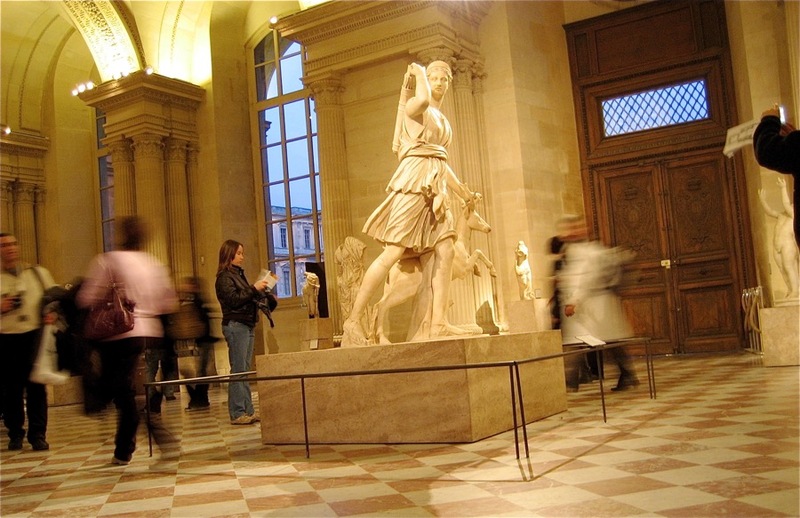 Of course, most visitors only come for Mona, Nike and Venus. 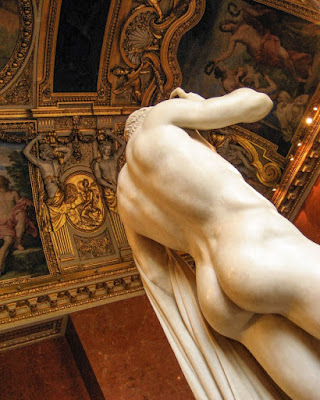 If you avoid the main attractions (and the crowds that block the view of them), there's still plenty to enjoy- here are our personal favourites of top-notch Louvre art for those who are willing to look further than most package tours do. WE'VE WRITTEN before about the 80-20 rule- how 80% of tourists visit only 20% of the places. Inside the Louvre it's probably a little less balanced- 95% of visitors focus on fewer than 5% of its collection. You could walk for hours and get lost in the museum's long hallways to discover your own favourites- and maybe you should. But in case you want some tips, these are the 10 highlights for those who are willing to go 'off the beaten track' in the world's most visited museum. Let's start with what's probably our favourite work in the Louvre. Of course, now that you know its name, you may know what to expect. The funny thing is, tonnes of tourists pass by this statue every day, glance at the hermaphrodite's backside, shrug their shoulders, and move on. But those who make the extra effort of walking around the statue are in for a surprise- the kind of surprise that only a hermaphrodite can give you (or one of the transvestites in the infamous Bois de Boulogne.) But most people never notice. Oh, and take a look at the air mattress that he/she is sleeping on. It's sculpted marble, but so realistic you'd want to prod it (don't.) It was carved by Roman super-sculptor Bernini in 1620. The statue itself is a good 1500 years older. 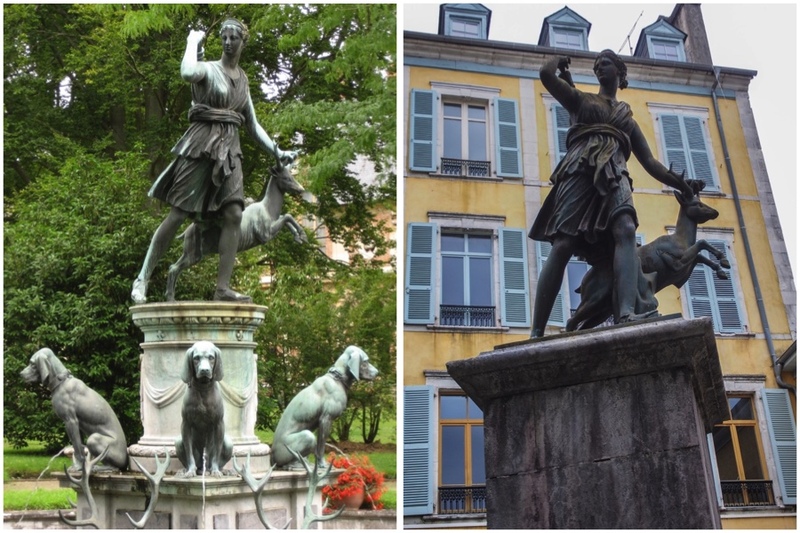 Fun factoid: the statue was acquired by Napoleon Bonaparte who, after marrying off his sister to the Italian prince Borghese, bullied his new brother-in-law into selling part of his magnificent collection. The other part of Borghese's collection stayed in Rome at his Villa. 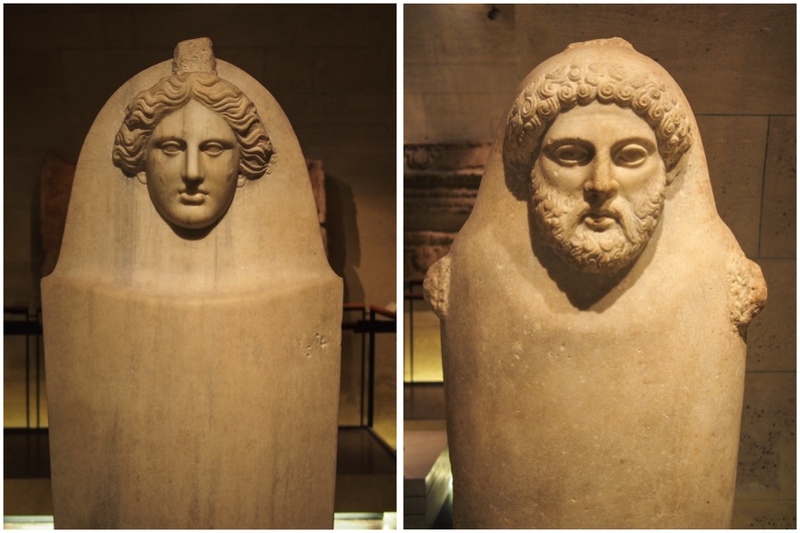 Sleeping hermaphrodites were a popular meme in the Roman Era- there are versions in the Uffizi, the Vatican Museums, the Hermitage, the Borghese, and the Athens Archeological museum. 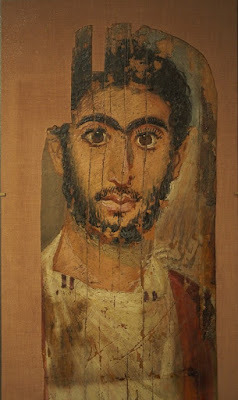 Modern portrait painting started 2000 years ago in Al-Fayum, a desert oasis not far from Cairo in Egypt. But these portraits were not for decorative purposes: they were attached to mummies, portraying the dead as they had looked before they kicked the bucket. 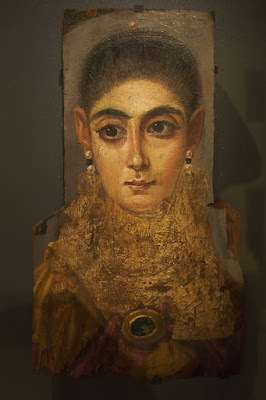 Historian William Dalrymple called them 'astonishingly familiar' and a connection to 'the lost world of classical portraiture'. They're incredibly lifelike and look far more modern than something left over from Antiquity. Dalrymple also observed that few of the museums which have collections of the Fayum portraits give them any prominence, which is true for the Louvre as well. You'll have to search for them in a dark basement full of Coptic artefacts. Unfortunately we won't be able to visit Palmyra any time soon... and by the time it is safe to do so again, not much may have been left of it. Sigh. 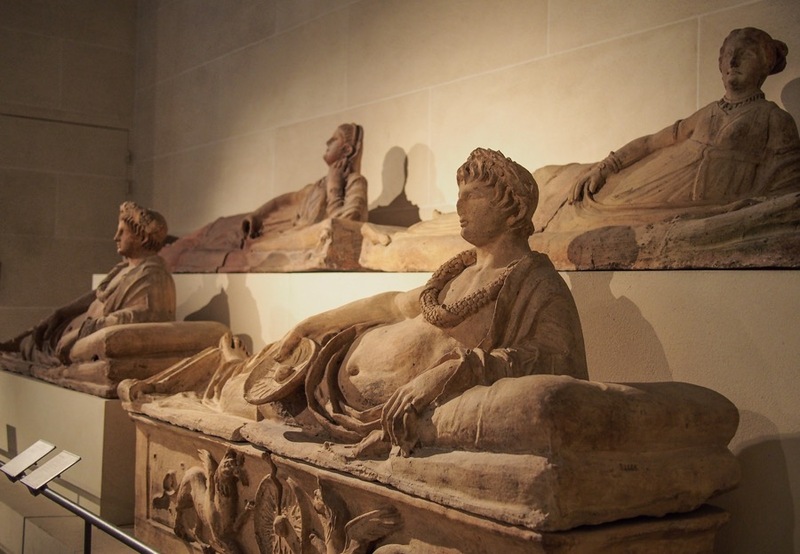 The good thing is that the Louvre has an extensive collection of artworks from this legendary city, and the funerary busts are unique and very unlike anything else. Where in Al-Fayum the dead were given a painting, in Palmyra they (well, at least the rich ones) were eternalised with sculpture. Their bodies were shoved into something resembling a Japanese capsule hotel, and the entrance sealed off with these sculpted tombstones. This Roman statue of the goddess Diana (Artemis in Greek) is simply stunning in its Bernini-like detail and movement. It also has a long and storied history. It came to France as a present from the Pope to Henry II in 1556. It adorned various royal palaces, including Fontainebleau and Versailles (hence its name). It first appeared in the Louvre in 1602, and the Salle des Caryatids, where it currently forms the centrepiece, was designed especially for this and other classical statues. Diana in Fontainebleau (left) and Pau. 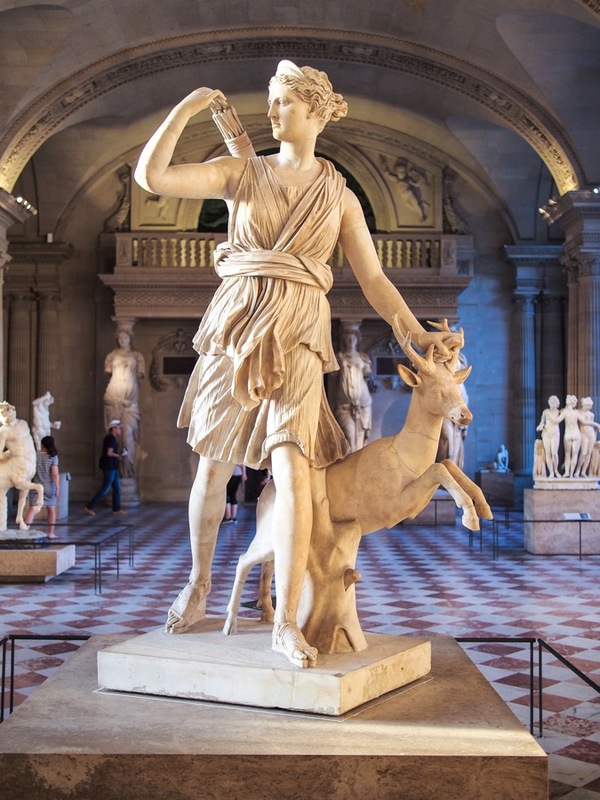 Diana forms such a part of French royal history that you'll find copies all over the country, including the Jardin de Luxembourg, Fontainebleau, Pau and Chantilly. Yet it doesn't have the iconic status of Venus de Milo, even if it's a far better sculpture, IMHO. Nicolas Poussin was a remarkable painter. He was French, but spent most of his life in Rome. When he arrived there in 1624, Roman artists had just invented the Baroque, with all its theatrical, over-the-top hysteria. Poussin was having none of it. He wanted cool, rational neo-classicism, and it's exemplified in The Arcadian Shepherds, also known as 'Et in Arcadia Ego', after the inscription that appears in the painting. The meaning of the painting has been disputed for a long time. Presumably the tomb's inscription, Et in Arcadia Ego, suggests that even in Paradise, death cannot be avoided. And there is an Ozymandian quality to the work: illiterate peasants awestruck by the massive tomb and its mysterious inscription, left behind by a greater civilization. 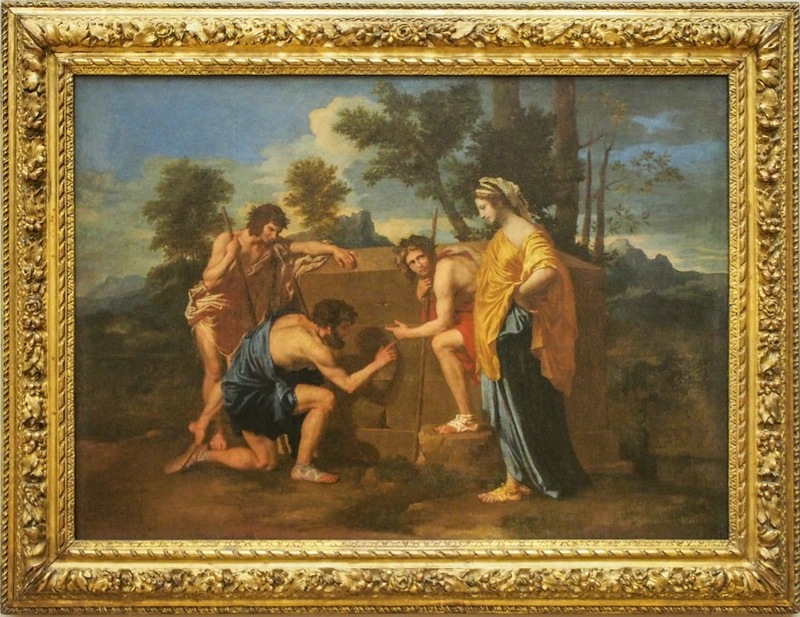 Neo-classicism would only become mainstream 150 years later or so- Poussin was well ahead of its time, and the leading French painter until the Impressionists came around. The Louvre has three rooms full of his work- well-hidden, far away from Mona and other crowdpleasers. Taking the best of both worlds, wealthy Phoenicians were buried in a sarcophagus whose shape is Egyptian, but with a classical Greek face carved on it. An early example of multi-culturalism. 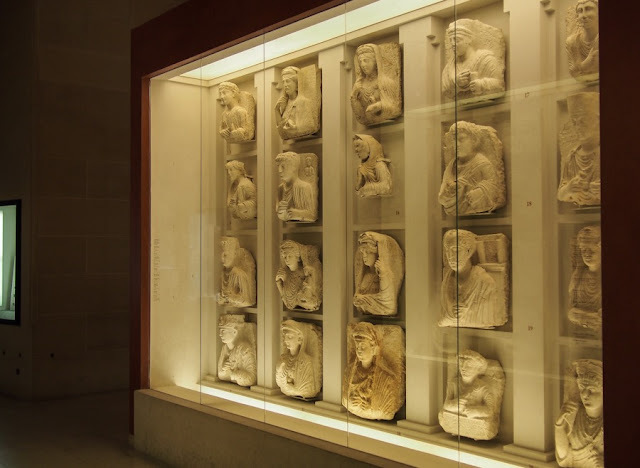 They're rare, but the Louvre has a decent collection of them, hidden in an underground passage in Sully. Having seen quite a few early-christian mosaics in the Balkans and the Levant, it came as something of a surprise to see several entire church floors here in the Louvre, like the floor of St Christopher's Church, originally located in Lebanon. 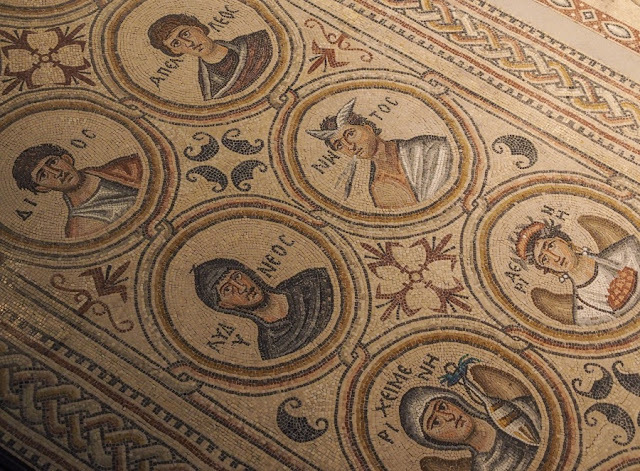 They are, like most Byzantine mosaics, stunning. 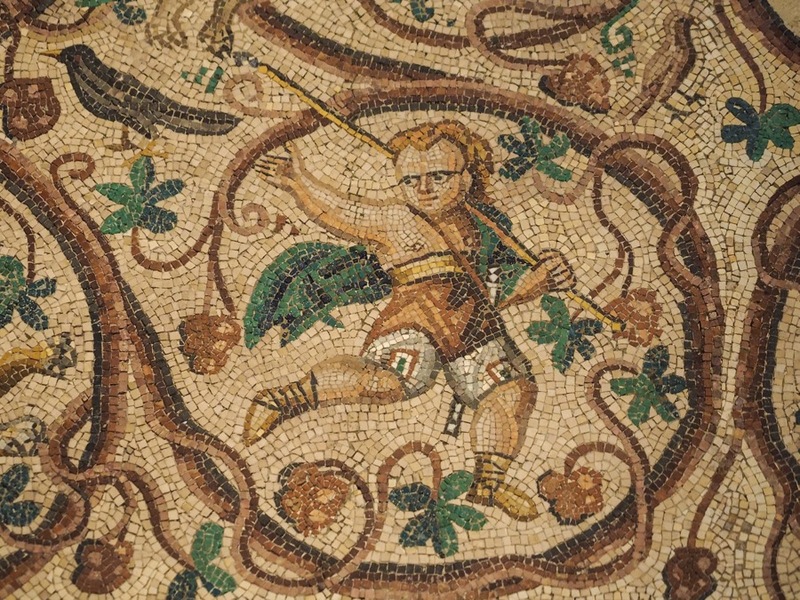 These floors are so interesting, not just because back in the days people thought nothing of walking on art, but they also represent a bridge between the classic pagan Roman mosaics like those found at Piazza Armerina in Sicily, and the glittering golden high points of Byzantine art found in Ravenna and elsewhere. 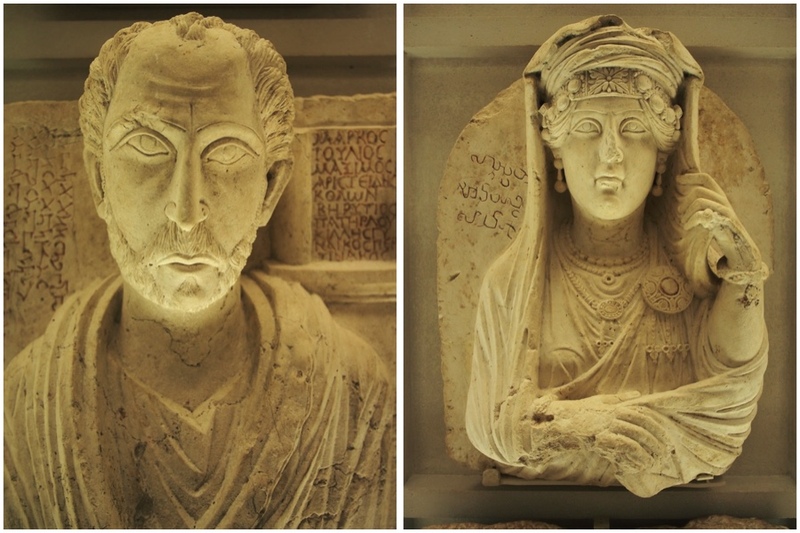 The Louvre just made them the focal point of a new section, 'The East Mediterranean in the Roman Empire'. Go check them out. It's likely that Bonaparte Jr was involved in getting these stunning works to Paris, and we thank him for it. 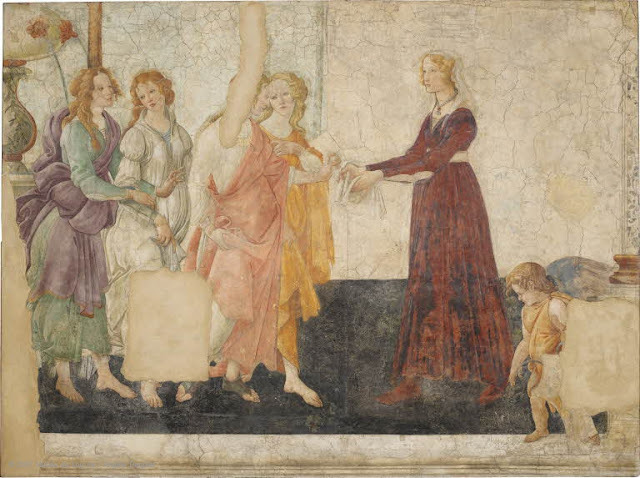 Ah, Botticelli: the Florentine genius whose masterworks are on the 'must-see' list of any self-respecting box-checker visiting the Uffizi. But when those same people visit the Louvre, and run from Venus to Mona, they will most likely pass some brilliant Botticelli frescoes without even glancing at them. True, these frescoes are just a little out of sight, but they are in one of the museum's busiest passageways and few people notice them. Yet they are stunning. The delicate strokes are immediately recognizable as the same ones that created the Birth of Venus. They originally were painted on the walls of a Florentine Villa, the Villa Lemmi. They were only discovered in 1873 under a coat of whitewash, and swiftly whisked away to Paris. Until Louis XIV packed up and moved to Versailles, the Louvre was France's largest royal palace, and it shows. 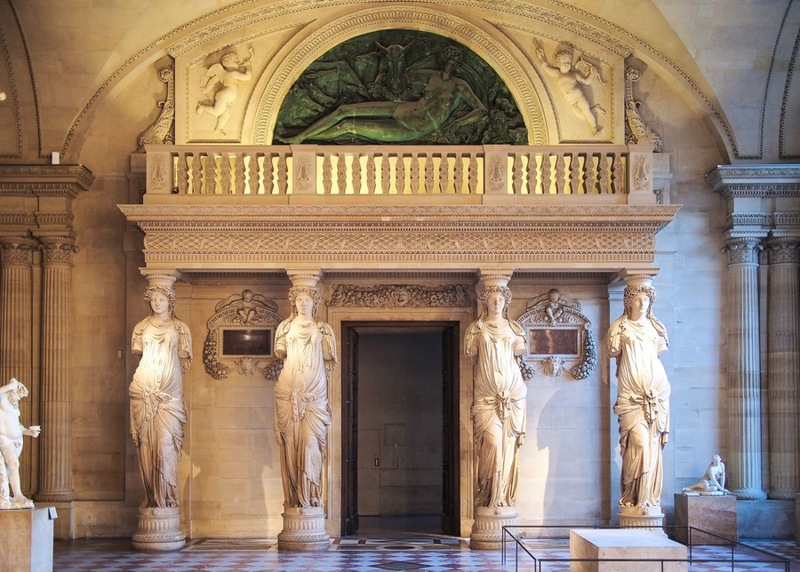 Many of the rooms are sumptuously decorated- in the magnificent Caryatid room it's hard to say where the interior decoration ends and where the art starts. Many rooms feature extensive frescoes and gilded corniches, friezes and acanthus leaves, like the ancient Roman section pictured below. Be sure to crane your neck upwards regularly to take in the magnificence of this museum fit for a (sun) king. The metro is the easiest way to get around Paris. The Louvre has its own station. Avoid the main entrance at the Pyramid if you can- this usually has the longest queues. Simply take the exit from the metro through the Carrousel du Louvre, or take the Porte des Lions entrance. The museum is open on Wednesday and Friday evenings- a great time to avoid the madding crowds and enjoy the atmospheric lighting. A great read as always. The Louvre itself - amazing how many people would overlook it. Thanks Nick. Do you have any personal favourites in the Louvre to share? You did indeed! Silly me. Thanks again!